Description: Plastic 3-in-1 light-up charger keyring. Engraving lights up when plugged in! 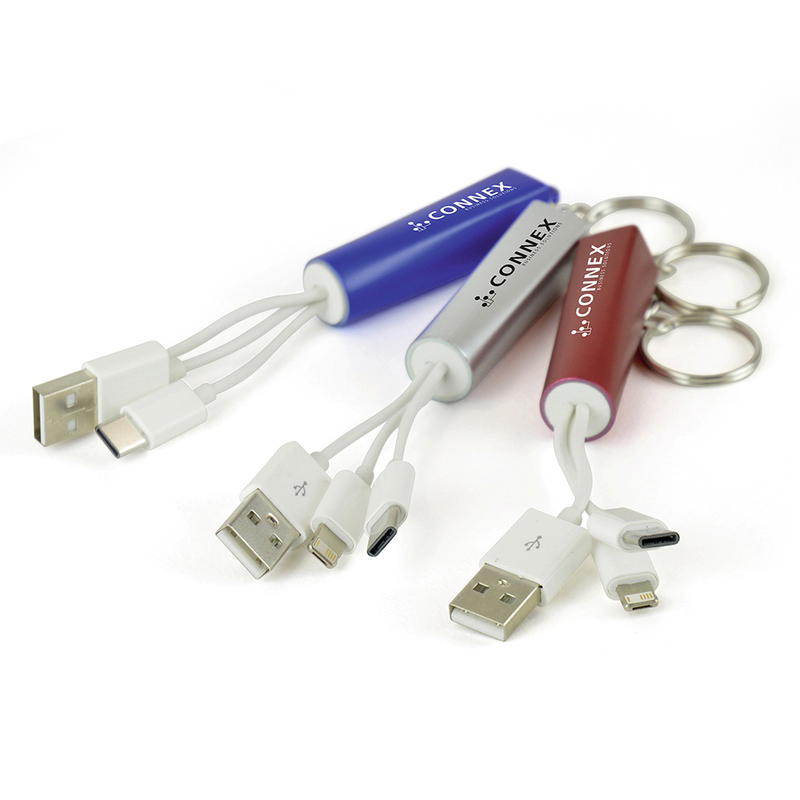 Adaptors include: USB, type C and reversible 5 pin (Apple) and micro USB (android). Available in silver.